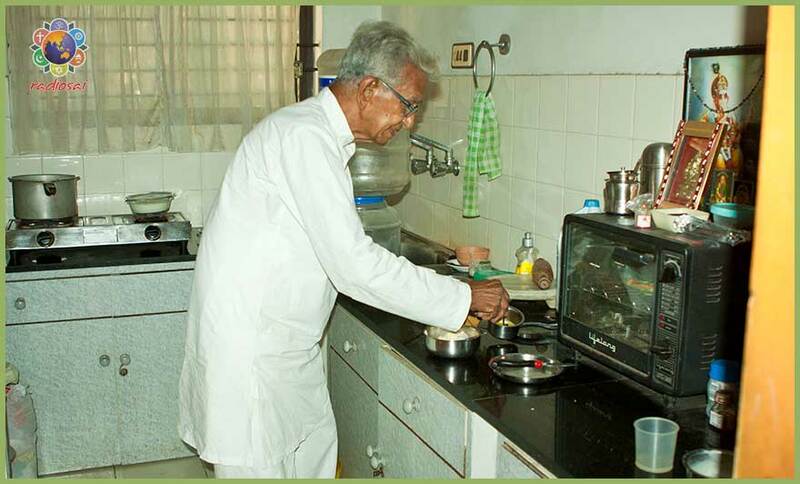 This is the incredible story of Mr V Kalyanam, who served Gandhiji as his private secretary from 1944 till 1948. 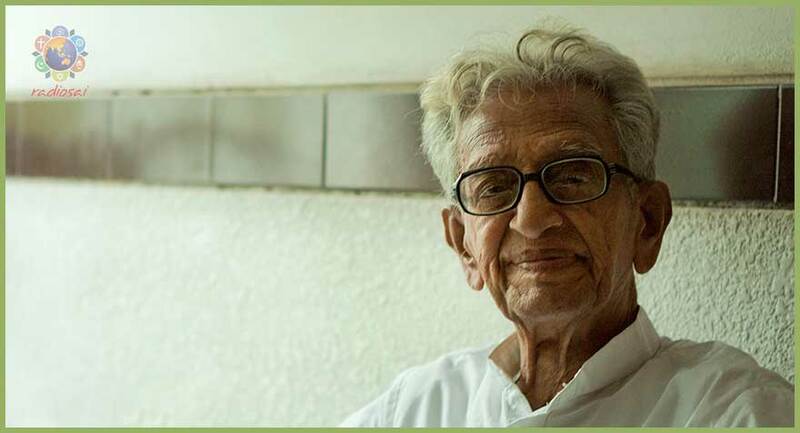 More than the opportunity he got to live with Gandhiji, the way he has lived Gandhian ideals in the past 75 years of life is simply awe-inspiring. It was an old, jagged but firm voice. The jaggedness was expected. I knew he was over 91 years. But the firmness took me by surprise. “Any day between 11pm and 2am,” he replied in the same stoic tone. 11 pm?! I thought I had heard him wrong. I asked again. “Oh wow! Then I must definitely see him!” I told myself. Mr Kalyanam, I had discovered, is among the few still alive who have seen Gandhiji. 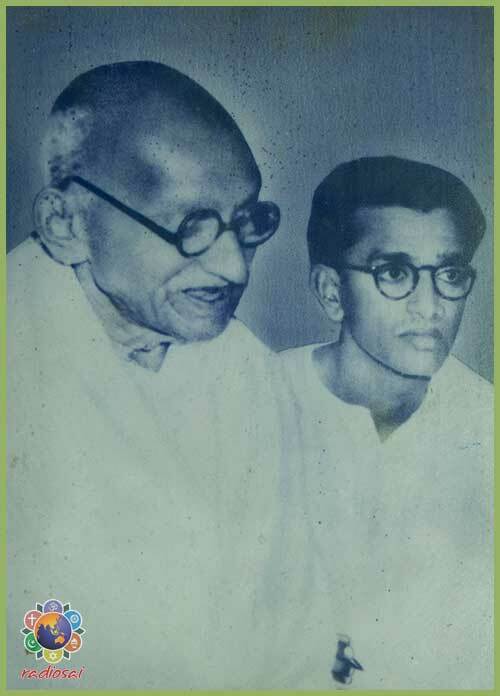 But this man had not just seen him but had actually worked with him probably as close as one can get - he was Gandhiji's personal secretary during the last four critical years of the Mahatma’s life (1944-48). This is what had prompted me to seek him out. But when I met him I realised he was not just the secretary of a 'super human being' he himself was a spectacular man, leading a life which many will scarce believe. It was the summer of 2013. I landed one day at 6.30am at the address he had given me. It was a flat in the second floor of a residential complex. As I climbed the stairs, I saw an aged sweeper, in crisp white and white, cleaning the steps of the staircase. His back was towards me. He was coming down, one step at a time after doing a meticulous job of removing all dirt in the step ahead. He stopped, turned his bespectacled face my way and said, “I am Kalyanam” and immediately turned to get back to his work. “Oh my god! But why are you doing this?” I exclaimed instantly. “Why? What is wrong? I like it,” he answered matter-of-factly, without even lifting his head. I just could not digest this. “You like sweeping and mopping? That too at this age!” I was stupefied. That he was fitter than someone half his age was obvious. Painstakingly cleaning every corner of the entire staircase of that six-storied building would break the back of even a forty year old. But Kalyanam had been doing this every single morning! More surprises awaited me. I learnt that his cleaning schedule started much before anyone in Chennai was even awake. At four in the morning he was on the road with a broomstick (a picture in his room confirmed this daily ritual). He diligently swept the entire stretch of the road in front of his building. Once the street was spick and span, he turned to his building. It was during this part of his daily schedule that I met him. The entire activity took him two hours. Mr Kalyanam personally cleans the staircase of the entire multi storeyed building every morning. By the time people wake up, their pathway is spick and span. After Go Clean, Go Green! At 8, he had a coffee break and then started another operation – gardening. In fact, the building was the only complex in that entire area with a picturesque and beautiful burst of flowers around it. Till 11 in the morning, Kalyanam was extremely occupied inspecting each one of his hundreds of pots of various sizes and shapes, turning the mud, weeding, watering, and so on. In one corner of the garden were separate little heaps of used glass and plastic bottles. He had personally 'saved' these discarded items from going to the dustbin from different flats of his building and segregated them. “I can sell them for Rs 200 a month. I cannot see anything being wasted. There is enough in this country for everybody but people should know how to use it,” he spoke out firmly looking at me. After five exhausting hours of physical work, he finally returned to his apartment. Just in front of the door I noticed used papers and magazines bundled neatly. I asked him if this also was meant for resale. Though I had read a lot about the Gandhian principles, until that moment rarely had I seen anyone in real life in whom the spirit of Gandhi glowed so vibrantly. Just a few minutes of rest and a little refreshment, and Kalyanam was ready again for another round of tending to plants. This time on the terrace! So he climbed three floors up. On the way he picked up tiny sacks that contained mud, manure and other materials. I offered to help but he decisively declined it. Once he reached the top, he was mighty happy with his lovable creations - little ladies fingers, shiny and cute tomatoes, round little brinjals, fresh and green spinach, long and round beans, and so on. I indeed watched this happen. After working tirelessly for two hours looking after his ‘green children’, he came down with a few ladies fingers, tomatoes and greens in his hands. It was 1.30 pm. The nanogenarian with his proud kitchen garden. He eats only what he grows. He was done with his lunch in 15 minutes. As I also proceeded towards the wash basin, he plucked the plate from my hand insisting “I must clean it”. I just could not accept a nonagenarian doing this for me but I was simply given no choice. Once he was done with his cleaning and putting everything back in its place in his tiny kitchen, at last he settled down on a massage chair. As that intelligent contraption kneaded his back and leg muscles, he slipped into a siesta. He is going to be knocked out now for at least a couple of hours, I said to myself. But no, he was up in just 10 minutes! “Now I am fresh,” he smiled broadly. It was as if he had had a deep sleep for four hours! “Are you serious?” I was completely intrigued. As if to illustrate in action what he just said, he next picked up a cloth and began dusting all the furniture. This time in the afternoon everyday was earmarked for the maintenance of cleanliness inside his house. By the time he was done it was 4 pm – time for him to step out. Every day he would have some public engagement or the other, either he would be attending a meeting or presiding over a function. If he was free from such appointments, he would go straight to an orphanage that he has adopted. In fact he gave away Rs 9000 of the 10,000 he received every month as pension to various charities. To be a ‘green champion’ on the stage and talk is one thing but to walk the talk is something else. As I observed Kalyanam more and more, I realised how the latter are so self-satisfied with what they are doing that they hardly like to talk unless really prodded. Though his evenings are always busy with public engagements, he kindly decided to stay indoors that day to give me a little time. That is when I caught up with him to unearth some more details of his exceptional life. “What inspires you to lead such an exemplary and outstanding life?” I was only too eager to demystify him. 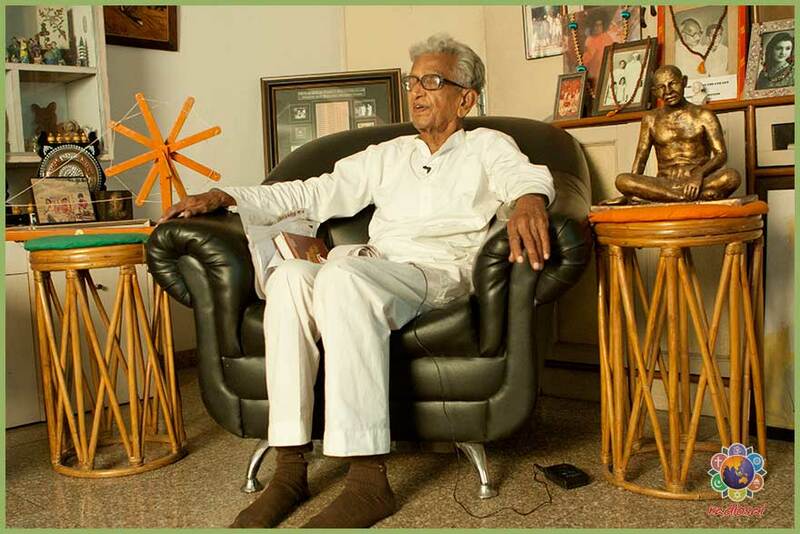 Going down the memory lane, he continued, “I joined his sevagram ashram in Wardha in 1944 but had never seen him or his picture before, only heard about him. “Like Gandhi, earlier I too was very anglicised. In 1941 I got a government job under the British and was leading a comfortable life. My boss was an Englishman and I too never went out without a tie, a collar, a suit and a hat. However I hated secretarial work. That’s when someone suggested me to try the work at sevagram. 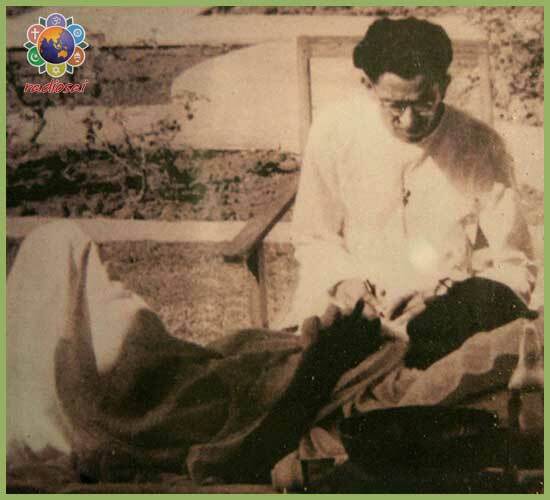 “After a few days of my joining, the manager of the ashram took me with him to Mumbai to introduce me to Gandhi. That morning when I entered that hall, seeing him in a loin cloth, I first thought he was a servant and the well-dressed person speaking to him was the boss giving instructions. If his tryst with the Mahatma was curious, it only became more enlightening as days passed by. “That day Gandhi enquired with me about my family and if my parents were dependent on me and also about my previous salary. When I mentioned that I was earning Rs 250 from the British, he looked at me gently and said that he can give only Rs 60 per month. I instantly said 'I will work freely for you. Anyway, all my basic needs are looked after by the ashram. I don't need anything more.' I was really taken in by his personality,” Kalyanam revealed. 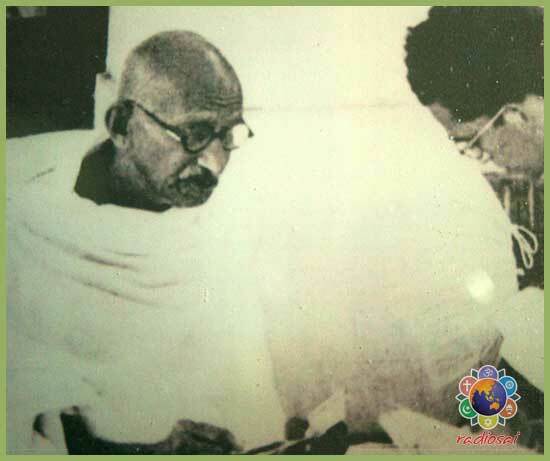 As Gandhiji's secretary, he was always beside the Mahatma; no wonder so much of the Mahatma got rubbed off on him! In the days to come his admiration for Gandhi only grew by leaps and bounds. Soon Gandhiji returned to the ashram. His job was to help him with correspondence. He would receive all his letters, open the covers, keep the letters aside language-wise, and then slit open the sides of the envelopes so that they could be re-used as papers by Gandhiji to write. 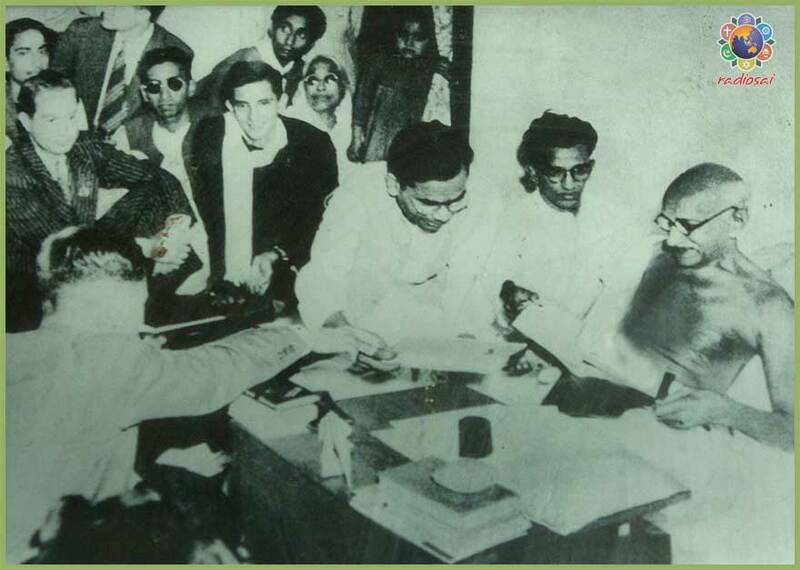 Even though Kalyanam was in a way back to secretarial work, working with Gandhiji was a life-changing experience. Thanks to his position, Kalyanam also travelled a lot with Gandhiji. Wherever the Mahatma went, the hosts would generally buy third-class train tickets for everyone in his entourage. Once, after the train had travelled for 100 kms, Gandhiji called Kalyanam and asked him if he had a ticket. Incidentally the hosts had missed doing a ticket for him. Gandhiji then told Kalyanam to ask the station master of the next station to come and see him. When the train stopped, the station master was sought. He was thrilled to know that Gandhiji wanted to see him. In those days, Gandhiji's travel plans would be mentioned in the newspapers and people would throng the stations to catch a glimpse of him. It was then that the station master apologised and did the needful. Many such moving anecdotes poured forth from Kalyanam's agile memory for an hour or so. Kalyanam too was over with his dinner by 7.30 pm. And it was time now for another siesta – just a 10-15 minutes nap. The swiftness with which he was slipping into deep sleep and coming out of it too in no time reminded me of the yogic masters of the Himalayas. “One siesta is equal to 2-3 hours of deep sleep.” He continued to educate me on his highly effective time management principle. Even as I marvelled at this, I asked him if there was something going on in his mind whole day because I noticed several times during the day that his lips were always silently busy. “I am constantly praying,” he disclosed. “Gandhi was very particular about our morning prayer and the evening prayer in the ashram. In fact if anyone took these sessions lightly, he would politely ask the person to leave. Besides, he would always be chanting. It was like an inner rhythm in his being. “I too do the same. The hanuman shloka is always on my lips. It is incessant and constant. The first thing I do after I wake up every morning is write three aphorisms on my dairy -'Sri Rama Jayam', 'Allah ho Akbar' and 'Jesus Never Fails'. I complete a page a day. "This is what gives me strength to walk on the path shown by this great soul – the Father of our Nation,” Kalyanam concluded. It was time for his next task of the day. Every night from 8 till 11 pm he religiously watched TV to abreast himself of everything happening in the country. His heart would bleed when he found that someone has yet again looted public money and exult in joy when he saw a remote village finally getting power supply or an honest man sacrificing his youth and energy to bring smiles on the faces of the less privileged ones. He would sink and swim with the ebb and flow of the news that streamed into his room. At 11.30 pm he would put it off and take another siesta-break. By 11.50 pm he was sprightly again, and now relatively free too till 2.30 am. That was indeed the time he had given me for my appointment too! If people like Kalyanam are not utopian dreams but realities in these times in this country, then surely a beautiful, brighter and better India too is not an utopian dream! Mr Kalyanam has visited Prasanthi Nilayam a couple of times and loved the ambience of the ashram. His daughter Ms Malini Kalyanam serves in the ashram as a sevadal volunteer for a few weeks every year. What are your impressions about this article? Please share your feedback by writing to [email protected] or [email protected] . Do not forget to mention your name and country please.